Two lustrous cream-like eye shadow shades offer pearlescence and versatility of finish. Provides sheer-to-moderate buildable coverage and a dimensional finish. The dual-use formula can be applied dry for a sparkling more translucent look, or wet for glossy and high-shine saturated colour. The smooth, non-dusty formula blends easily with extreme adherence to skin. Pressed Pigment is delicate. Please handle with care. Custom packaging in matte black with James signature in gold. Explore the entire range of Lip Gloss available on Nykaa. Shop more M.A.C products here.You can browse through the complete world of M.A.C Lip Gloss. 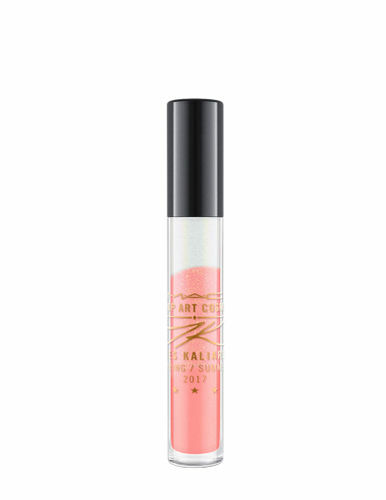 Alternatively, you can also find many more products from the M.A.C Makeup Art Cosmetics Tricolour Lipglass / James Kaliardos range. Explore the entire range of Lip Gloss available on Nykaa. Shop more M.A.C products here.You can browse through the complete world of M.A.C Lip Gloss .Alternatively, you can also find many more products from the M.A.C Makeup Art Cosmetics Tricolour Lipglass / James Kaliardos range.